A posture series created by Master Yoga Sri Dharma Mittra and based on Classical Hatha-Raja Yoga. This Practice includes Surya Namaskara (Sun Salutations) to warm up the body and bring flexibility and mobility to all the joints and muscles. A series of balancing, stretching, back bending, twisting and mild inverted postures will follow. There are also postures to help increase shoulder and hip mobility/flexibility. Class ends with deep relaxation, breathing exercises and meditation to help bring a sense of well-being and peace to the body and mind. In this practice all the basic techniques of classical yoga will be covered. Great for those who are looking for a series to incorporate into their daily practice. A brief warmup will be followed by what Dharma Mittra calls “ Shiva Namaskara Vinyasa” which is a series of flowing postures that bring strength and flexibility to the body. The main stationary postures will be practiced along with simple yet powerful breathing and meditation techniques. This is an intermediate level of the Dharma Yoga Series. Students will practice the Surya Namaskara (sun salutations) and the Shiva Namaskara Vinyasa for level 2 with additional postures and variations to warm up the body and bring flexibility to all muscles and joints. All the main postures will be practiced and this particular series includes beginning arm balance, shoulder and hip openers. This practice ends with deep relaxation, breathing exercises & meditation techniques to help bring a sense of well-being and peace to the body and mind. In this practice a mixture of the Dharma Yoga Series will be taught based on the level of students that show up for the class each day. 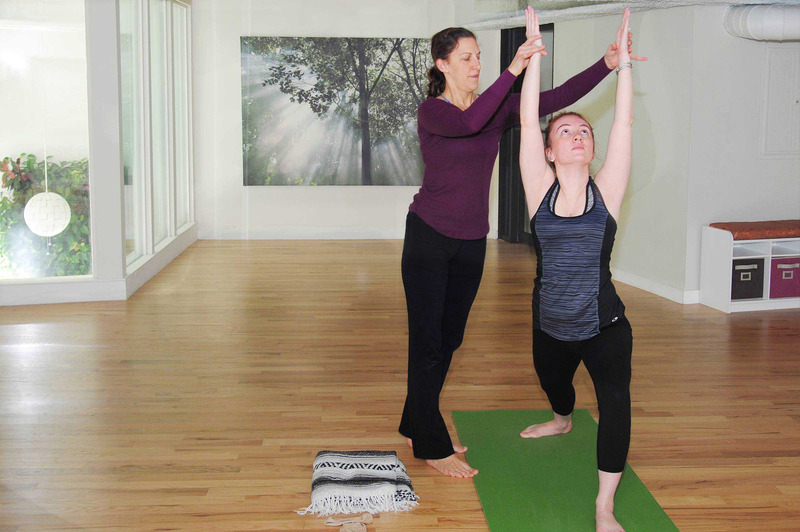 Many different variations and progressions will be shown so that each person can work on new postures and advance at their own pace and level. This is truly how Sri Dharma teaches in NYC every day and the teachers will follow his new formats which he changes every 6-12 months or so. These practices have been handed down from Guru to Disciple within our lineage and will be shared both on the regular class schedule and in workshops. This is a special series of mental exercises sequenced to improve your psychic abilities and promote the projection of your thoughts. They include specific breathing exercises, directed visualizations, and two powerful mantras, the Mantra for Purification and the Mantra for Unification. These mantras will establish the perfect psychic rhythm and mental pattern to put power behind your thoughts making it easier for you to achieve your goals and desires in life and work on your spiritual evolution. These ancient techniques have been passed down by word of mouth from teacher to disciple and continue to be taught in this way. This class culminates in a final meditation to make your personal dreams a reality. Requirement: 100 hours of Dharma Yoga and for students following the Ethical Rules of Yoga Yama and Niyama especially Ahimsa-non-harming in thought, word and deed. This practice is a form of active meditation, done lying down in relaxation position or shavasana. This class will allow you to take the time to focus on each and every part of the physical body and send healing thoughts and energy wherever it is needed. Mental relaxation follows the physical relaxation and at that point you may make an affirmation that will promote healthier habits and thereby the ability, with time and practice, to restore the body to perfect health and wellness, physically, mentally and spiritually. You will be amazed at how wonderful you feel after this class.